Shusei’s brother has arrived at Aoi and Shusei’s apartment and is determined to make a mess of things for Shusei. Aoi decided to work with Shusei’s brother in order to try and make Shusei jealous enough to notice her as a woman, but Shusei has no reaction after her first kiss is stolen from her and shown to Shusei via photo. Disgusted by Shusei’s brother, Aoi wonders what it will take to make Shusei reciprocate her feelings. This is made even more complicated by their respective family members when Aoi’s overprotective little brother and Shusei’s obsessive little cousin burst onto the scene. 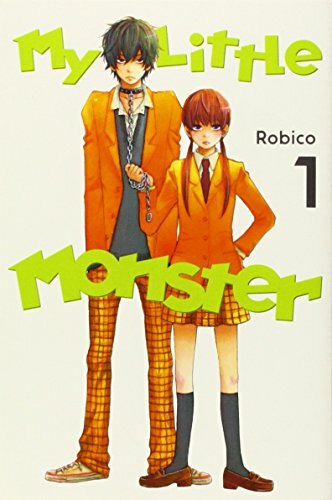 I had complained in my review of the LDK’s previous volume of the general creepiness of the inclusion of Shusei’s brother into the story, and thankfully this volume quickly wraps up this subplot in minimally painful fashion. While this resolution didn’t add a whole lot to the plot, it was nice to see both Aoi and Shusei show signs of a personality in response to the situation. It felt good to see Aoi sock Shusei’s brother, and this actually leads to a cute moment between Aoi and Shusei to end off this volume’s first chapter. I can’t really say that this salvaged this arc by any means, but thankfully it did manage to get a few enjoyable moments out of this stretch. If you’ve been reading this series purely for singular romantic moments you’ll find a few things to like about this chapter, but without any solid characterization from the previous volumes I was still left wanting in terms of my emotional investment. The second chapter of this volume focuses on showing Aoi’s inexperience at love as a consequence of a conversation with her girlfriends about her turn-ons. The result is Aoi spending its duration trying to figure out what about Shusei turns her, leading to Shusei noticing her strange behaviour with awkward results. This leads to a number of moments that Aoi’s heart-racing when Shusei realizes what she’s up to, and this might be considered the main draw of this chapter. However, this falls into the same problem that has plagued this series so far in that these moments are pure fluff, with no substance to back them up in terms of the development of these characters. It continues to feel like author Ayu Watanabe wants to skip ahead to the payoff without doing the harder work of establishing why these moments are meaningful in the first place, and this continues to make these moments lack resonance. 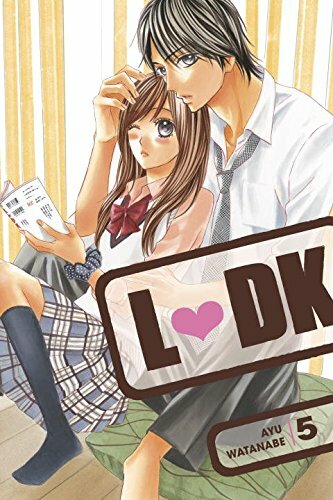 LDK has been a difficult series to really get into because of its almost exclusive reliance on tropes as well as the lack of characterization of its leads. Thankfully, this volume begins to take steps to flesh out Aoi and Shusei just a little bit more in its second half, which is probably the strongest stretch this series has had thus far. The trope-roulette this series continues to play gives us Shusei’s obsessive younger cousin Momo in a chapter that is largely a yawn until we finally see some emotional reaction from Shusei. This was refreshing to see from our otherwise stone-faced hero, and I was thankful that we got to see a little bit of a reaction from him in the end that gave the obligatory romantic moments some context. 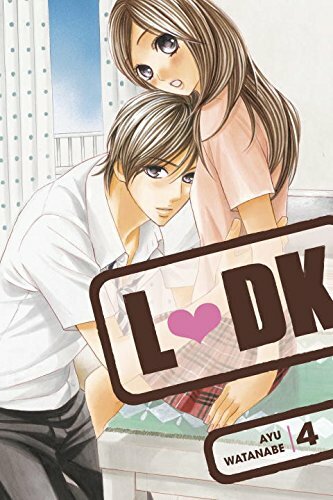 The beginnings of actual character development in this volume continue into the next chapter which introduces Aoi’s overprotective young brother, Kento, into the mix. This ends up being perhaps the strongest chapter in the series because we get to see both Aoi and Shusei show off their feeling in a little more of a concrete manner. In particular, I enjoyed that we got Aoi actually display a little bit of depth in confronting her feelings thanks to her brother’s interference, and it felt like her love for Shusei for an instant was a little more layered than her usual feelings of seemingly loving him for no reason. Shusei also behaves a little more like a human being in this chapter in reacting kindly to Kento and trying to win him over. Although Shusei continues to still lack much of a personality, it was nice at least to show him displaying a little bit a determination. Hopefully this chapter is a sign that Watanabe is starting to get more serious about giving the substance necessary to really care about these characters as more than a continuous stream of trope-reliant moments suppose to elicit a reaction. There is still a really long way to go to make up for their sparse personalities and the almost complete lack of context for their feelings, but this chapter was a step in the right direction to close out the volume. This volume’s artwork is more or less the same unremarkable fare as the previous volumes. There are definitely a few moments where shading works well to emphasize situations that are meant to be romantic, but these were balanced out by some stiffer looking facial expressions especially towards the beginning of the volume. The final chapter is stronger in this department, and I came away with the feeling that the character faces displayed just a little more emotion than usual, changing slightly to convey the breaks in Shusei’s aloof act and getting across Aoi’s meekness at times. LDK Vol. 4 is a less extravagant volume that the previous ones - while the lows don’t get nearly as low, the high points of my enjoyment did not get quite as high either. It’s a little bit less ridiculous than what we’ve come to expect from this series, and as a result I laughed less but also cringed less at Aoi and Shusei’s latest antics. However, there are still tropes to be had here in the chapters focusing on Momo and Kento respectively, and while I rolled my eyes a little bit I can’t say they were completely ineffective. The last chapter was perhaps the series’ strongest in developing just a little bit of depth on behelf of both Aoi and Shusei, and hopefully this is a signal that the series is starting to get on the right track in earning its intended moments of payoff. 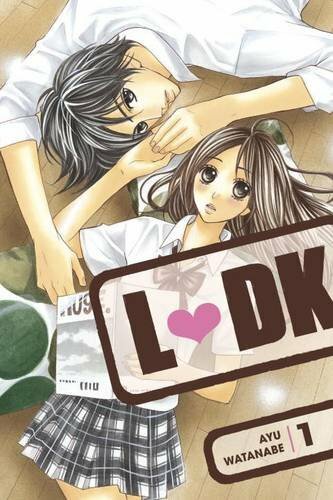 LDK Vol. 4 was published by Kodansha Comics USA on April 19th, 2016. Authored by Ayu Watanabe, the series began in 2009 in Kodansha’s Bessatsu Friend magazine with 19 volumes currently released. Volume 5 will be published in English on June 14th, 2016.